There's so many times when I think to myself, "That guy is such a great actor. It's a shame that he only gets small parts." I wonder why some actors aren't given the praise and opportunities they deserve. They're usually bit parts that appear bigger because of their onscreen presence. And though many of these actors are underrated, sometimes they get a chance to take center stage. In 2014, actor Mackenzie Crook took things into his own hands and wrote, directed, and starred in the BBC series, "Detectorists." 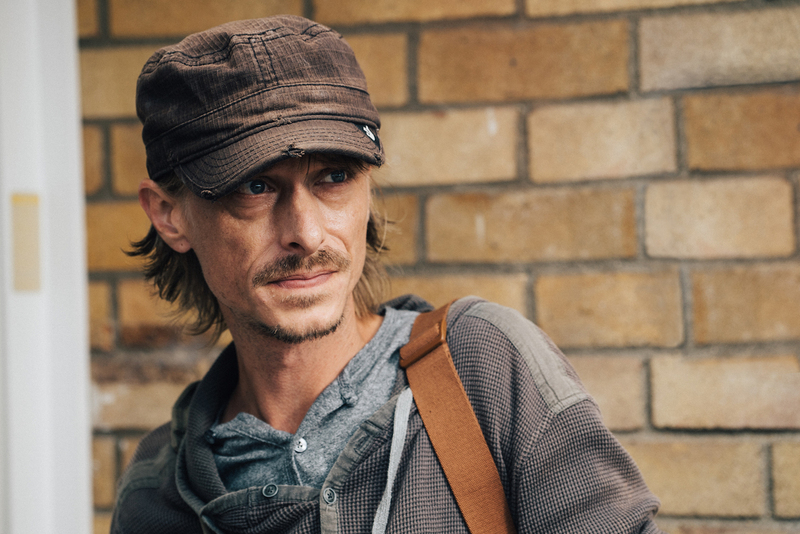 Though Mackenzie Crook has had plenty of acting work, he's mostly known for his portrayal of Gareth on "The Office" (the original UK version). Gareth was the basis for the Dwight character (played by Rainn Wilson) on the US version. Crook may also look familiar because he had a recurring role in the Pirates of the Caribbean films; he played Ragetti, the pirate with the wooden eye. And yet, despite these high profile projects, he never seemed to get his due recognition. 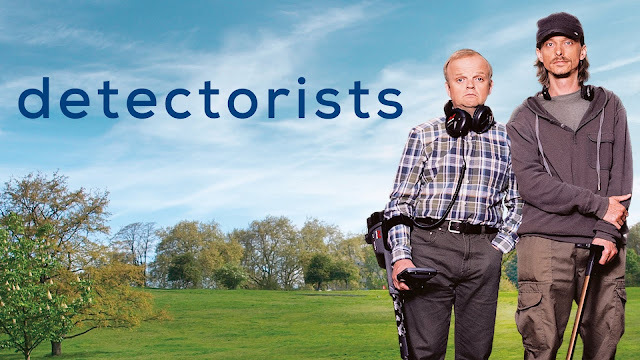 His "Detectorists" co-star, Toby Jones, has had a similar career. Looking at his extensive list of projects you might think, "Oh! He was in that?" I admit I overlooked him in earlier films too. 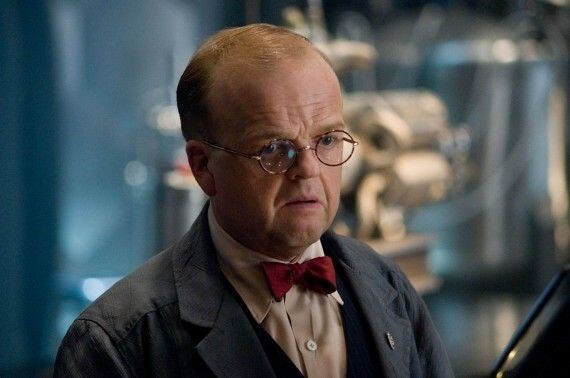 I first took real notice of Jones on Captain America: The First Avenger where he played Dr. Arnim Zola. I was instantly engaged by his presence, so much so that I decided to look him up. I found a brilliant film titled Berberian Sound Studio in which he stars. The film is uniquely odd and at times unsettling. Jones deservedly won a Best Actor award from the 2012 British Independent Film Awards. Being a fan of both Crook and Jones I was so happy to see their names listed on a the show "Detectorists." I didn't even know the show existed until December of 2015 when I saw it on Netflix. I've only watched season 1 so far, but I love it so much that I've already watched it twice! From the title of the show I had expected some kind of detective series that involved two blokes and their metal detectors. It turns out I was half right. There's definitely two blokes with metal detectors, but it has nothing to do with crime-solving. 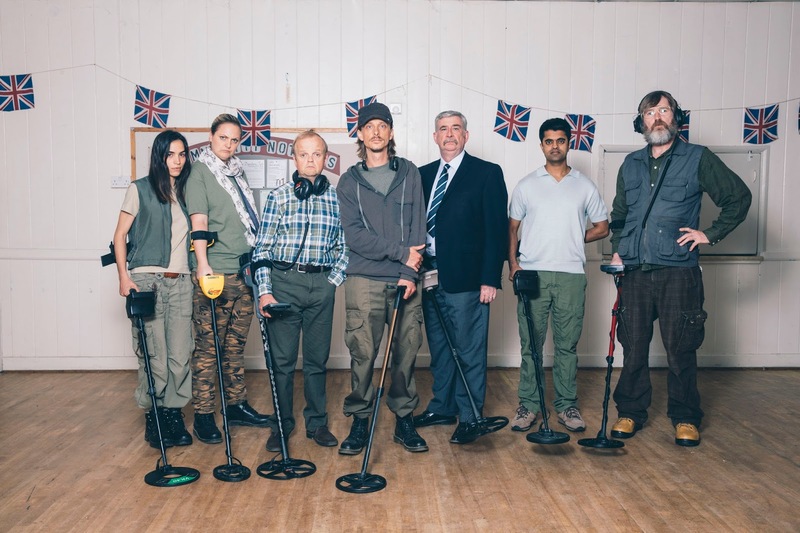 Instead the series focuses on Andy (Mackenzie Crook) and Lance (Toby Jones), two friends with a passion for metal detecting. They live in a small, fictional town in Essex, England and are surrounded by eccentric locals. They each have simple lives and deal with everyday issues, be it at home, work, or within their detecting group, the Danebury Metal Detecting Club (DMDC). And there's plenty of content per episode because Crook was smart enough to create an excellent cast of characters. And perhaps it's because of his insight to background characters, or maybe it's just because he's a great writer, but "Detectorists" boasts an excellent cast. Crook also combines subtle humor with well-placed drama. The relationship between his character and Becky (played by Rachael Stirling) feels authentic. Becky doesn't understand Andy's hobby, and often pokes fun at him about it, but at the same time she accepts him for who he is. They're not a perfect match and they each bring flaws to the relationship, but that's what makes it real. There was a part of me that was worried when the Sophie character was introduced because it looked like the stereotypical love triangle scenario. Fortunately, Crook didn't go that route and what he did instead should further justify his work behind the camera. And I'm sure Aimee-Ffion Edwards, who plays Sophie, was pleased because it gave her role much more dimension. The love triangle is such an old gimmick that actors probably roll their eyes anytime they get the part of the "affair." This, again, makes me think that Crook has played enough side characters to understand the lack of quality side players usually get. Additionally, Crook wrote strong roles for the women on the show. It never feels like a "guy" show with women. It feels more like great actors playing great roles. Crook even makes "crazy" seem natural. The Larry Bishop character, played by David Sterne, could have easily been written to be as bland as most "crazy old guy" characters. But instead Crook gave Bishop something more than nonsensical dialogue. In fact, I wonder if "Detectorists" may have had some influence from the excellent '90s show "Northern Exposure." It would make sense, considering the amount of characters who, alone, seem unusual, but together, all seem to fit. And to the credit of the actors on "Detectorists", they've all embraced their parts, Sterne being a great example. What I really enjoy about the Bishop character is that as mad as he may be, it's never overplayed. And though he's clearly out of his mind, he still has enough sense to understand the difference between good and evil, allowing some room for emotion. David Sterne as "Larry Bishop"
That brings me to the evil duo of the so-called Simon & Garfunkel. Simon Farnaby (who has a standout performance in the little-known film Bunny and the Bull) plays Art, and Paul Casar plays Paul. They're both connected with a rival detecting group named the Antiquisearchers. They tend to use detecting laws and regulations to their advantage, specifically to take over land that has already been claimed. 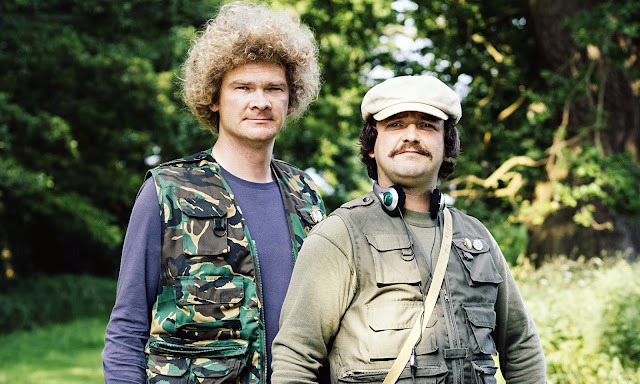 It's a great rivalry between the DMDC and the Antiquisearchers, and any time I see Farnaby's frizzy hair in the distance I grin because I know I'm going to have a laugh in the near future. It would seem that Crook didn't just give the best bits to his character; each of his co-stars have enough content to head their own series. Toby Jones, for example, takes on a character with closure issues. He lets himself get taken advantage of by his ex-wife Maggie and her new -- much younger and more fit -- beau, Tony, played by Lucy Benjamin and Adam Riches respectively. Their characters have so much dimension that you could see why Maggie and Lance were once together. The history of their relationship doesn't need the use of flashbacks. It's all there in their performances. There are so many interesting characters that I would imagine the show could go on for years and years. This article is just a blip on the metal detector. There's so much more to uncover. I haven't even written about the Detectorists club members, nor the secret behind Lance's yellow 1977 Triumph TR7. And keep in mind that I've only addressed season 1 of the show. There's just so much detail in the show, so for now this'll have to do. 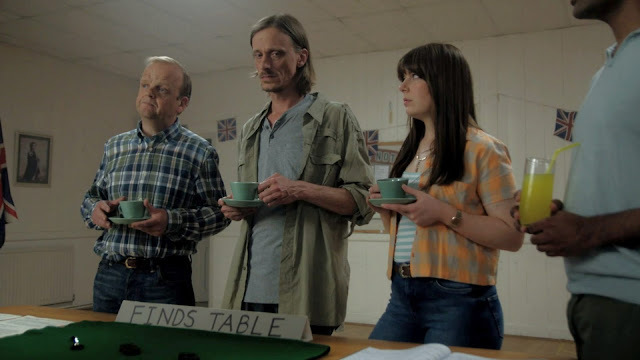 When you first watch "Detectorists" you may be taken back by its pace and style, but give it a few minutes and hopefully you'll understand why I fell in love with it. After a few days watching it the first time around, I took a step back and realized that the show seems to be comprised of background characters that happen to be put to the forefront. And if that's true, then Mackenzie Crook truly was the best man for the job. It's about damn time someone paid attention to those background characters! TRIVIA: "Detectorists" is Mackenzie Crook's directorial debut.